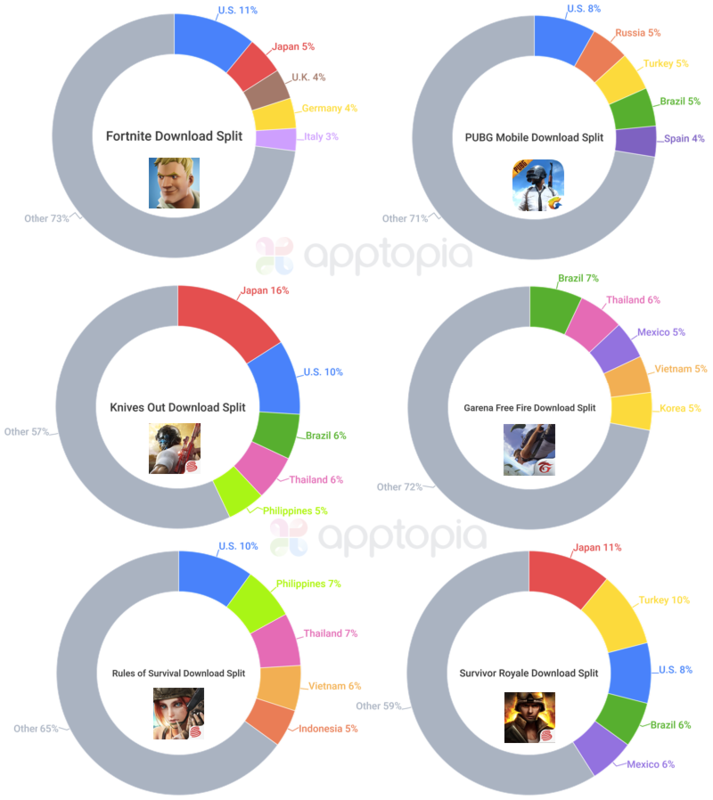 *All data displayed is based on worldwide Apptopia estimates from Apple’s App Store and Google Play. China has been excluded. All data is during the timeframe of 3/14/18 through 5/10/18. This includes the lifespans of both Fortnite and PUBG Mobile. 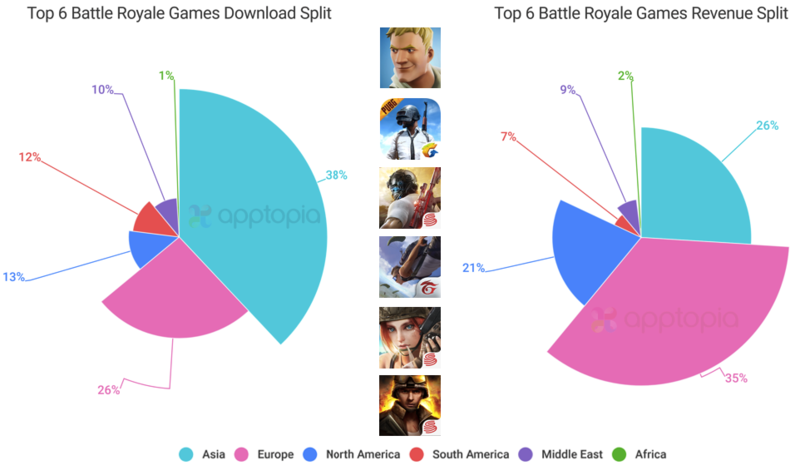 When analyzing the genre of Battle Royale as a whole, we are measuring the top six games: Fortnite, PUBG, Knives Out, Rules of Survival, Survivor Royale and Garena Free Fire. Keep in mind Fortnite is only available on iOS while all other games are available on both iOS and Android devices. Across the genre, Asia and Europe are the dominant regions. 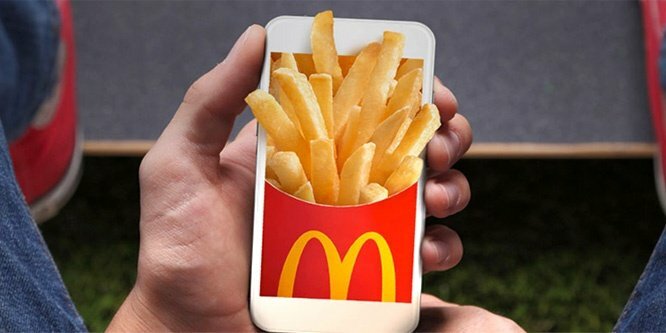 Asia is bringing in the most downloads but Europe is raking in more revenue. 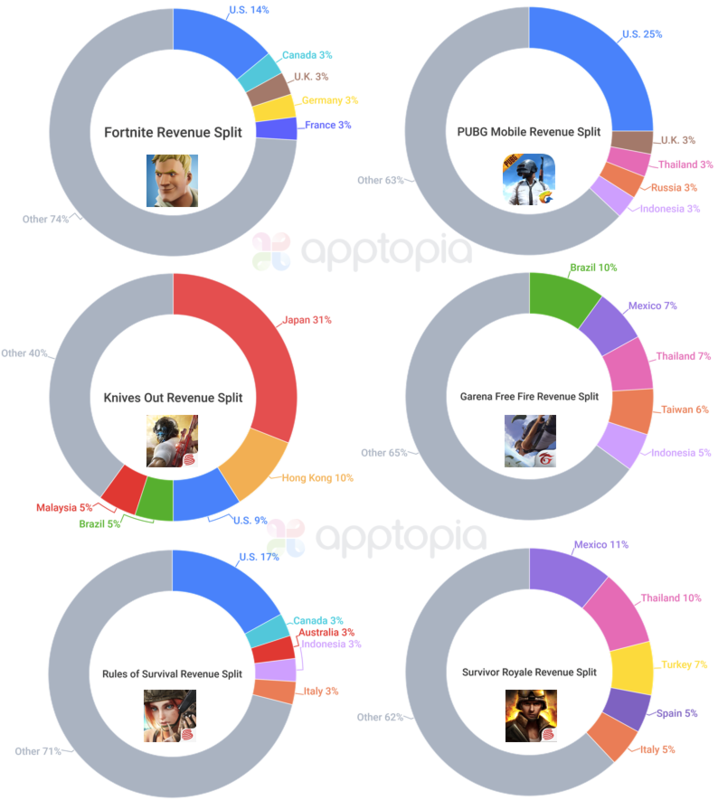 As stated above, China is not included for several reasons; Some of these games are not available in the country, Apptopia does not track third party Android stores that are responsible for much of the country’s Android performance, and Tencent has a different version of PUBG for the Chinese market. 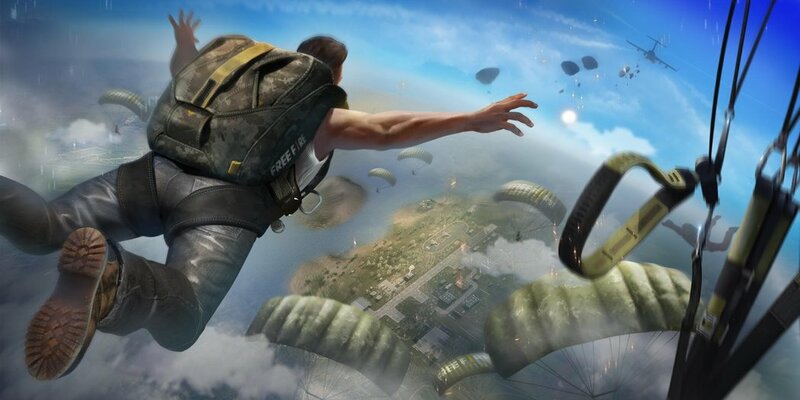 Three of the top games (Knives Out, Rules of Survival, Survivor Royale) are created by the same publisher, NetEase. Kudos to NetEase for hopping on the mobile train early. These games launched in November of last year, all within a few days of each other. What you see in the above graphs is a reflection of the gamestyle’s global success. After the leading market for each game, the rest are closely stacked. This is even more-so the case with the two most popular games’ (Fortnite & PUBG) IAP graphs. If you were to do a deeper dive into the specific themes, monetization and game mechanics of all these games, you would have an understanding of the cultural differences between mobile gamers all over the world. Survivor Royale has been heavily downloaded by Japanese gamers but they aren’t spending enough money in the game to be one of the top five revenue markets. This tells me players aren’t sticking around. Checking in with Apptopia Audience Intelligence, it’s clear that is the case. I found that all five top revenue markets for Survivor Royale have higher 30 day retention rates than Japan. What is our lesson? Focus on gameplay and smart monetization before you blow all of your budget on acquiring users who will leave you faster than your last romantic partner. I’m not bitter. Fortnite is the revenue leader in every region except for Asia and it is not yet monetizing Android users. 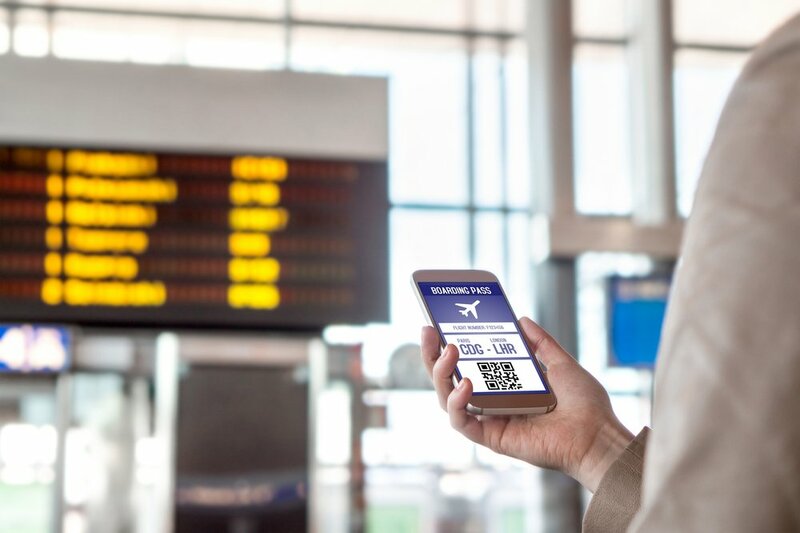 Forget intimate details about push notifications, marketing and monetization. Fortnite’s main differentiators are its cartoonish, happy look to it and its ability for players to build/create. It adds a whole new, and frankly quite strategic dimension to a genre that many think of as a pure shooter. 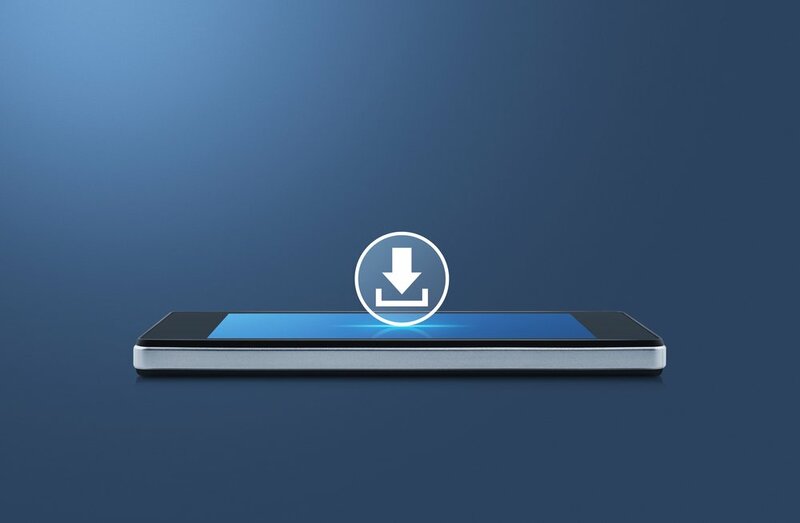 You have to wonder, if Fortnite was available on Android devices, would it be the download leader for most of the markets PUBG currently holds? Sooner or later, publishers are going to start making their battle royale games look more like Fortnite than PUBG. NetEase, who we gave kudos to earlier in the post, might deserve some credit again. They are in the middle of creating FortCraft. The game looks to be skinned like Fortnite and because of its title, the game will show up in searches for Fortnite. Just looking at iOS, the number one market for 30th day retention for all six games is Ireland. You’d have to take a deeper dive into Apptopia to know if the Irish market is worth investing into. 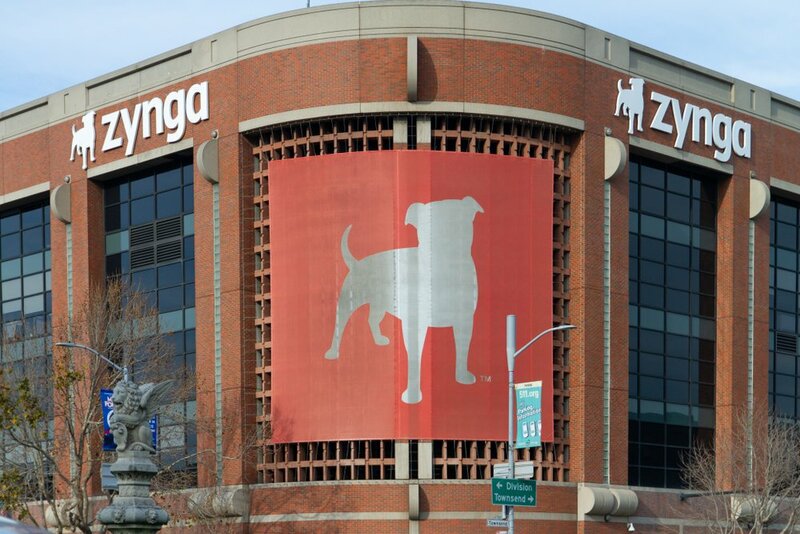 You need to determine what it costs to acquire users there, how much money are they spending, etc. Together, the games have an average 30th day retention rate of 8.8% in Ireland. Still looking just at iOS versions, across the globe, Fortnite has the highest global average 30th day user retention rate at 4.8%. I’m sure you already know this but keep in mind that just because Ireland has a higher retention rate than Russia, it does not mean there are more total users being retained, just the percentage of users who have downloaded.